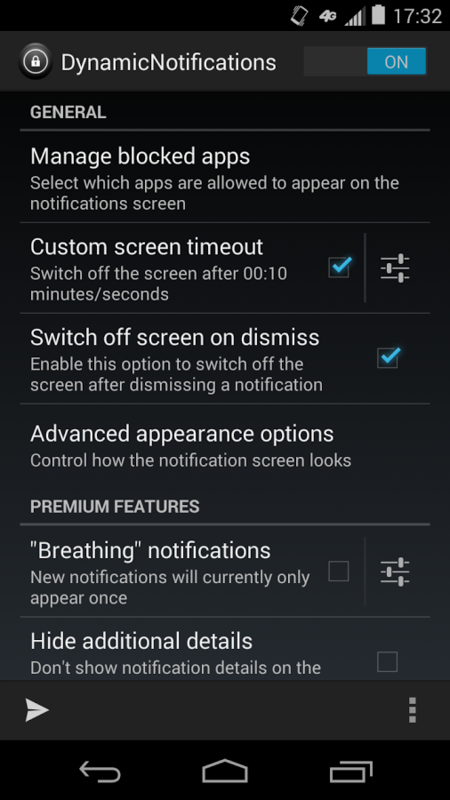 DynamicNotifications allows you to receive important notifications when your screen is off. 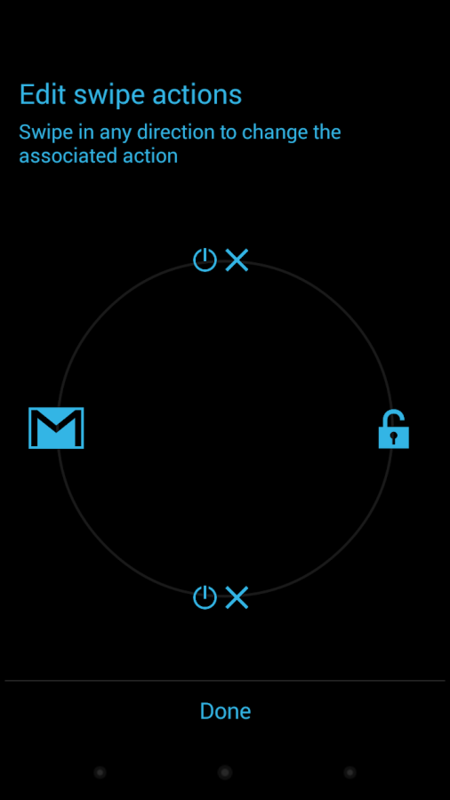 When you miss a call or receive a new email/SMS, the display will discreetly light up to let you know, without needing to unlock the device. Most phones only have a pulsing notification LED that doesn’t actually tell you anything about the incoming notification – with DynamicNotifications, you can immediately decide if something is important enough to act. – How can I make sure the app is working correctly? Launch the app and follow the setup steps. Then, switch off your phone’s screen and send an email to yourself from your PC. 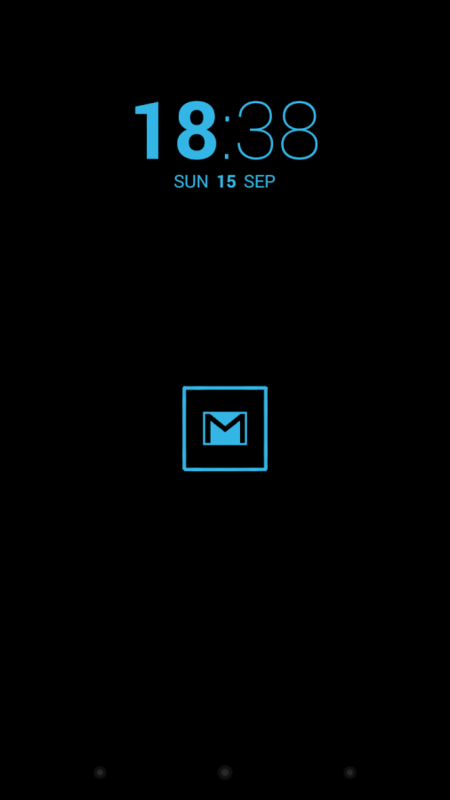 After a few seconds, the notification screen should light up! Please go to your phone’s system settings –> “Security” –> “Device administrators” and tick the checkbox next to “DynamicNotifications”. This will *only* allow the app to lock your screen, nothing else! – When I lock my screen, nothing happens! – Will the app become available for Android 2.x, 3.x, 4.x? The app is now compatible with Android >=4.0. If you’re running Android 4.3, it will make use of the new “NotificationListenerService”-feature introduced in Android 4.3. – Why can’t I uninstall the app? Please go to your system settings, select “Security”, “Device Administrators” and uncheck the DynamicNotifications-entry. You will then be able to uninstall the app. – My phone starts talking to me when I enable the app?! This is a known Samsung-bug; Please go your system settings, select “Apps” –> “All” –> Samsung TTS engine –> Disable. If this isn’t working, go to your system settings, “Accessibility”, “Talkback” (make sure it’s disabled), “Settings”, and *uncheck* all options you see here. Please let me know if there’s something that doesn’t work for you before leaving a review!